Here's another incredible cyborg pumpkin to inspire your Halloween envy. 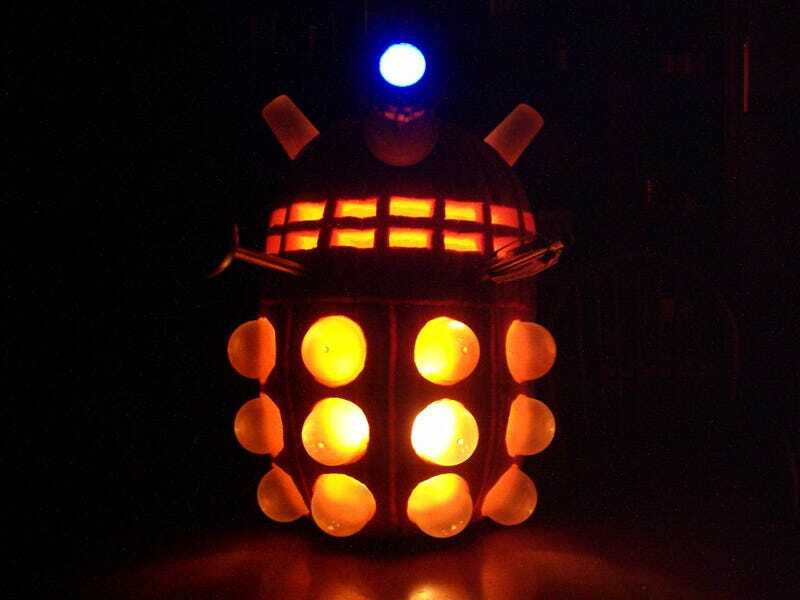 A Doctor Who fan spent seven hours crafting a Dalek O'Lantern that will have the neighbors hiding behind the couch. And it's just as impressive with the lights on.